I asked them to help me create an email marketing campaign for our existing customers (we are a B2B software company) and produce the copies. Within a week we had all the content we needed to shoot at our customers. They also helped us produce a top-notch copy for a landing page which allowed our customers to renew their subscription at a discounted price. 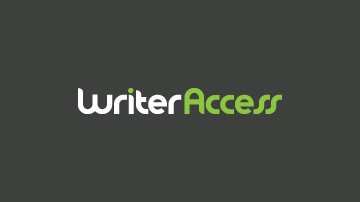 I am Really happy to work with WriterAccess! This was my first time working with a content writing agency and boy has it been good! They have brilliant writers who can produce unique blogs with exceptional speed. Hired two writers from WriterAccess for our blog and don’t think we’ll need anyone else for a long time. Quality work matched with quick turnaround time! I really think that WriterAccess is the best content writing agency we have worked with. They are very professional and are brilliant in all their services.